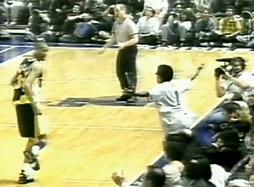 The trash talk in the Microsoft vs. VMware feud once reached Reggie Miller vs. Spike Lee heights. The two companies rarely passed up the opportunity to disparage, make fun of or even spread lies about each other. Virtualization is a function of a general purpose operating system — a function of Windows. Reality: A hypervisor based on Windows is not a good idea. Have you tried using Windows Server Core with Hyper-V? Instead of the “Windows you know,” it’s more like the DOS you used to know. Microsoft is heavily vested in preserving the status quo, protecting its enormous Windows-based revenue stream derived from its dominance in the old client/server mode, and has little interest in helping organizations embrace and benefit from virtualization-based cloud computing. Funny argument from VMware. Of course, Server Core is just one installation option for Windows -- Hyper-V can absolutely be managed via a GUI. And also, I'm pretty sure Azure counts as Microsoft having at least SOME interest in the cloud, heh. Oh well, I bet they're still being more polite to each other than Spike and Reggie. Azure aside, Microsoft's other major cloud strategy is Software Plus Services, which emphasizes a combination of hosted services and on-premise software. It may not be right for VMware to say that Microsoft is "reluctant" to move to the cloud, but it is accurate to say that Microsoft is protecting its "enormous Windows-based revenue stream" with its cloud strategy.